Twitter yesterday disclosed it has suspended about 360,000 accounts since mid-2015 for violating its policies and of course banning the promotion of terrorism and violent extremism. it made this known in one of its post on its blog on Thursday. 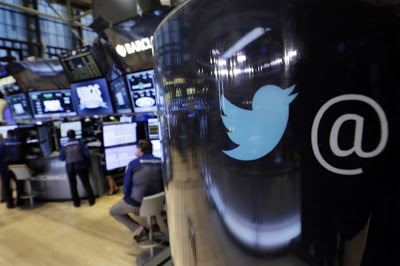 The Multi-billionaire San Francisco-based company ( Twitter ) said in a blog post that it also has made quite some significant progress in preventing users who were suspended from immediately returning to the platform using different accounts, which has been a problem in the past. Twitter made it known that the rate of its daily account suspensions is about 80 percent since last year, it however did not provide specific numbers. The suspensions became quite necessary following series of terrorist attacks, it said. It also noted that there is no magical formula for identifying extremist accounts. Like other social media companies, it uses a variety of tools, including spam-fighting technology, automatic identification as well as reports from users, to help combat abuse. The report on the account suspension became necessary after the company had been criticized severally for not doing enough to keeping extremist groups like Islamic State from using the short-messaging service to crowd source supporters and potential attackers. just last week, a Federal Judge had earlier dismissed a lawsuit against Twitter which accused it of supporting Islamic State by allowing it to sign up for and use Twitter accounts.